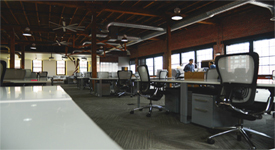 How to Make a Smooth Corporate Move - MoveStar Inc.
A business move can be a monumental task, but with careful, advanced planning and the help of a professional moving company, the job will be complete in no time. Here are a few tips to help you navigate this significant event. How soon must the move take place? Ideally, set a date far enough in advance that you can strategize. In order to save on costs, the physical move must be made as swiftly as possible, but that requires a thought-out plan of action. Find out what stipulations your new location may require, including permission to access the building, ramps, loading docks, and elevators. Then, coordinate with your movers to get your move on their schedule. Discuss ahead of time what your needs will be. Movestar fireman movers provides a range of services for every budget. Once the date has been set, it’s time to tell your employees. As the owner, boss or manager, your job will be to oversee the move and to delegate the details to your employees. Make it fun! Order pizza and offer prizes or time off for those who contribute the most. 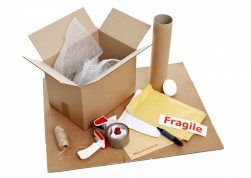 Expect them to be responsible for their own workspace and personal belongings, and provide them with the tools they will need to pack up their items; boxes, tape, trash bags and Sharpie pens are essential. Make sure their boxes are labeled with their names, department and any instructions so the movers can distribute them easily upon arrival. And don’t forget the common areas. Place sign-up sheets in break rooms for volunteers to help clear out kitchens, restrooms, and storage rooms and closets. A move is a perfect time to dispose of out-of-date equipment, broken furniture and useless papers that have been taking up precious space for years. Unless you need these things moving forward, trash them. The cost of moving them far outweighs their value. Get a fresh start! Don’t incur an unnecessary expense by hauling things to your new location that your company no longer needs. Since your operation most likely depends on it, prioritize your IT Department. 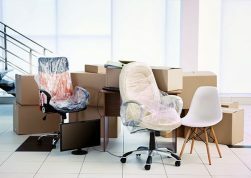 Communicate to your movers prior to the move that the IT equipment be the first to unload, It may take some time to get the phones, computers, and network up and running, so give your IT personnel a head start by having them start setting up equipment as soon as possible. Movers are proficient at taking down shelving, racks and modular office systems and reassembling them in their new location; however, in order to do so, your movers must have a good idea where to do so. Spend some time before the move measuring your new space to figure out how your set up will fit, and draw a plan so your movers can get your business up and be running as quickly as possible. It’s also a good idea to do a walk-through with the new building’s facility manager a few days before the move to make sure space has been freshly painted and all outlets, light switches, door locks, restrooms, etc. are in good working order. MoveStar moving and storage recognizes that your company’s movables are just as important as your own, personal belongings and deserve the same care. We employ air ride electronic vans, rubber-wheel dollies, sensitive equipment conveyors and building protection when we relocate your business. We can handle everything from sensitive equipment and office furnishings to heavy machines. As off-duty firemen movers, we are already trained to preserve and protect the people and the businesses we serve. MoveStar moving and storage was ranked one of the top moving companies in the Dallas-Fort Worth area by “The Dallas A-List Awards,” based on more than 38,000 votes from North Texas experts. To get a price quote and to find out more about MoveStar and its services, call 972-716-9911 today.